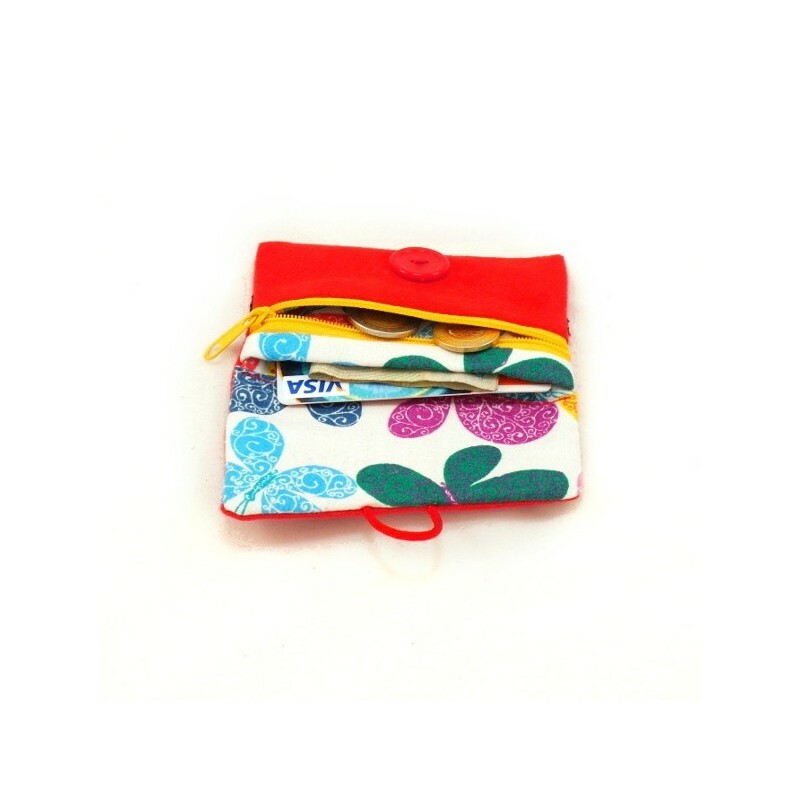 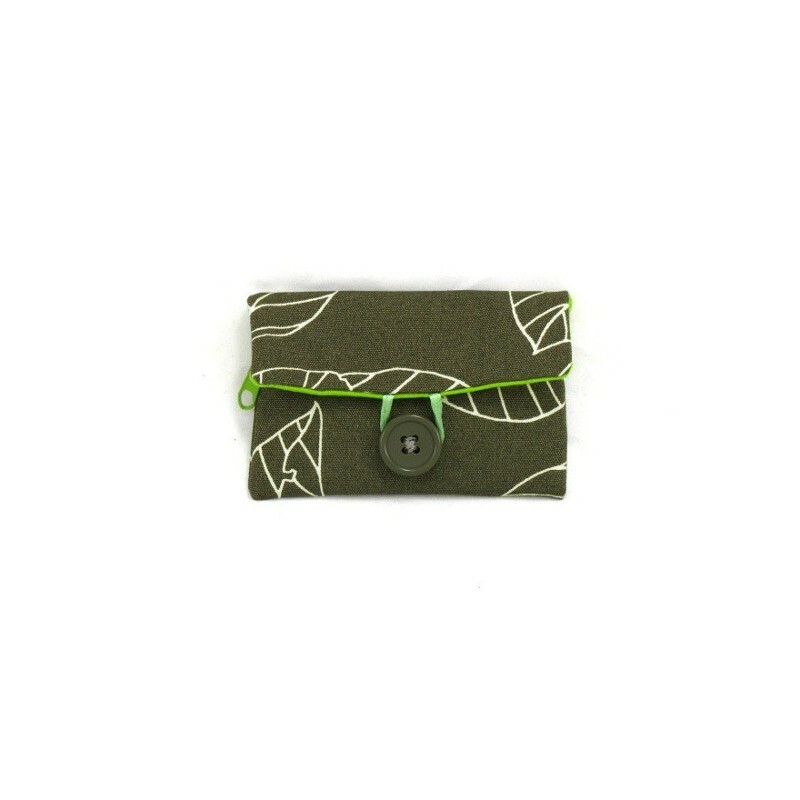 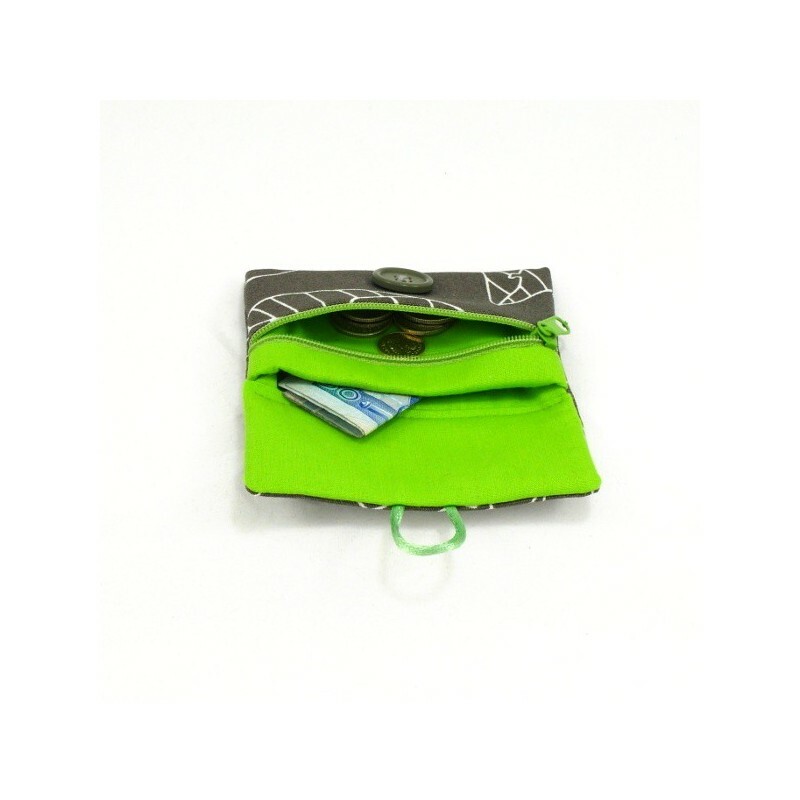 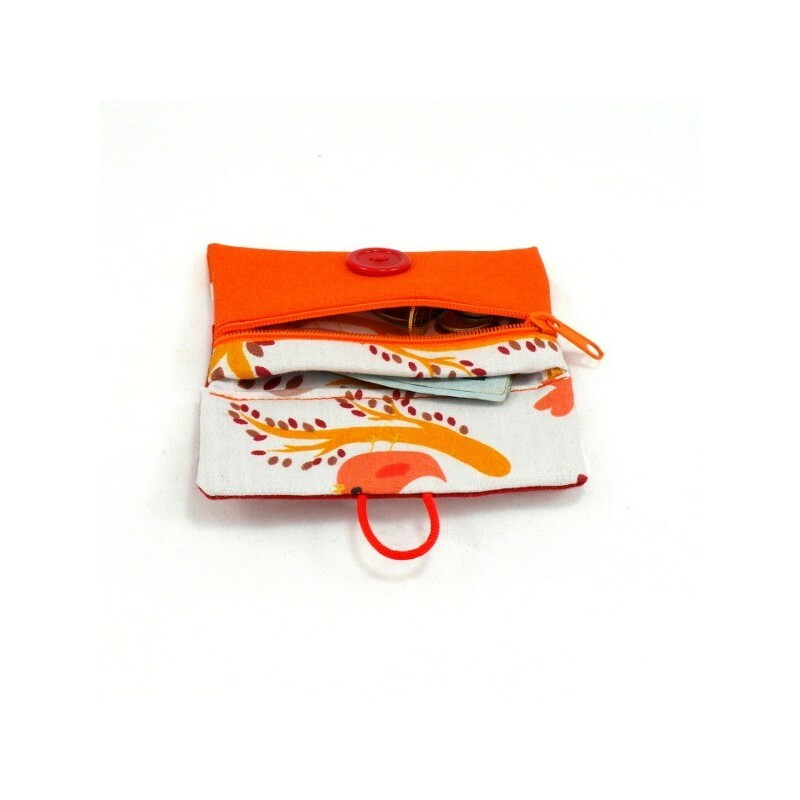 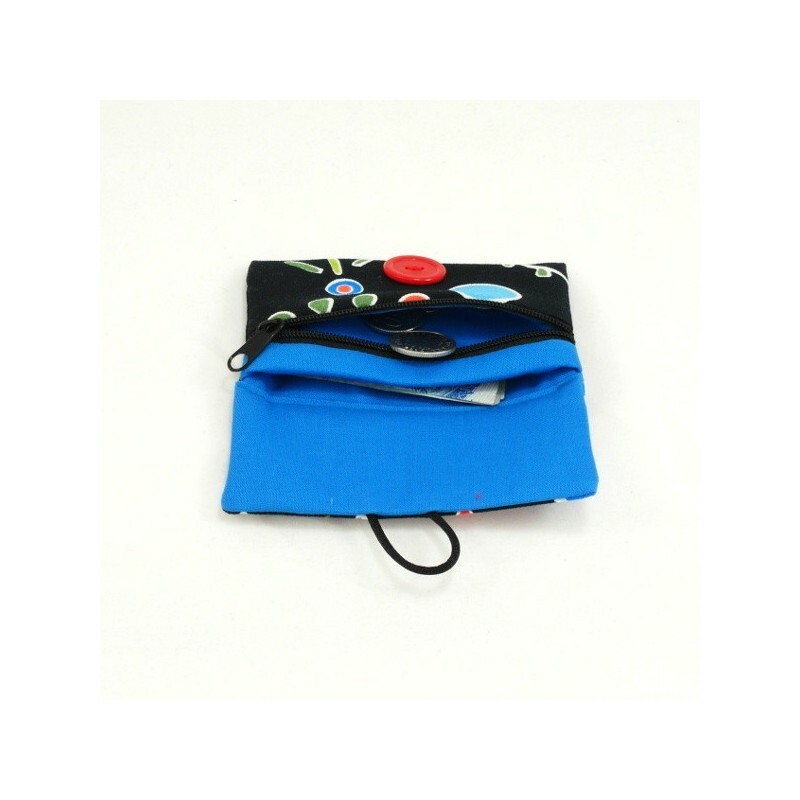 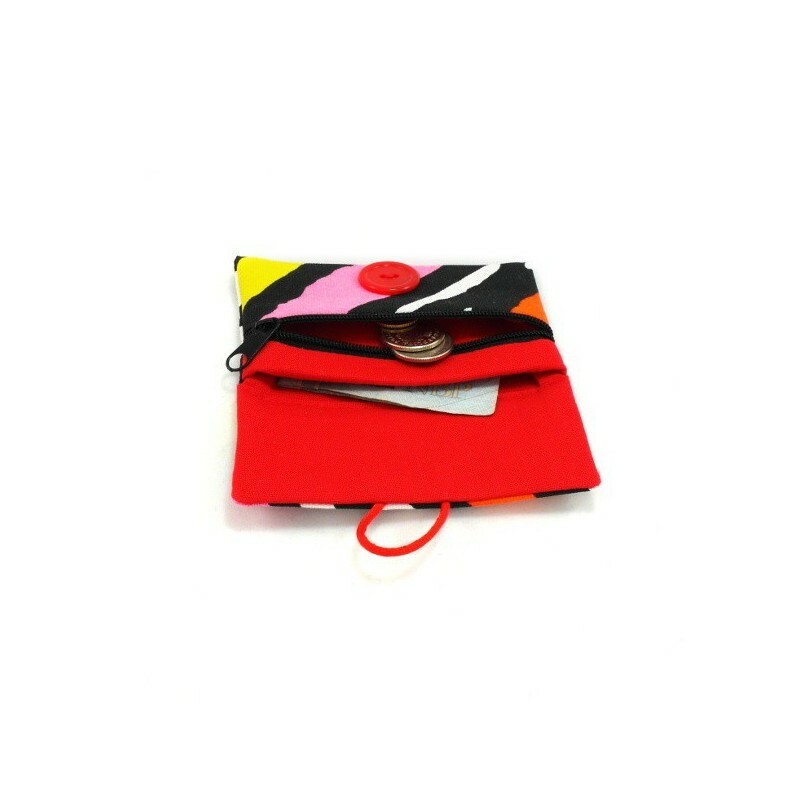 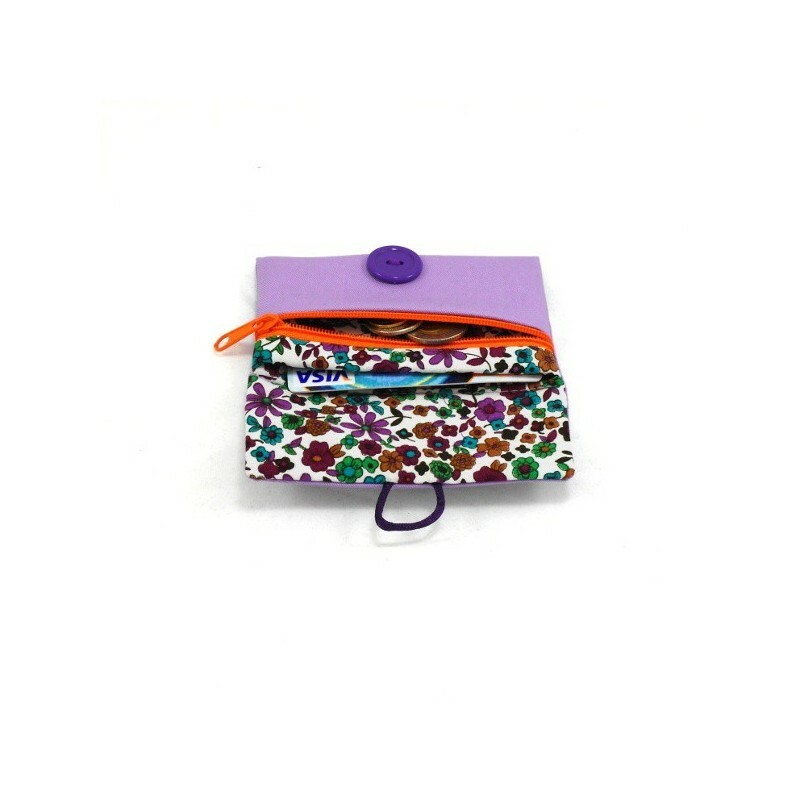 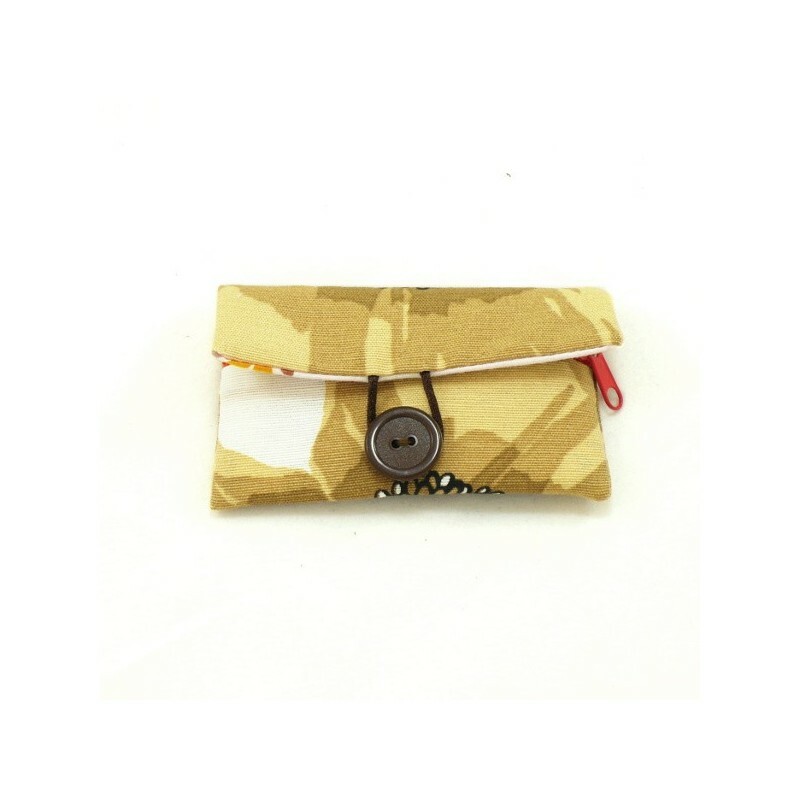 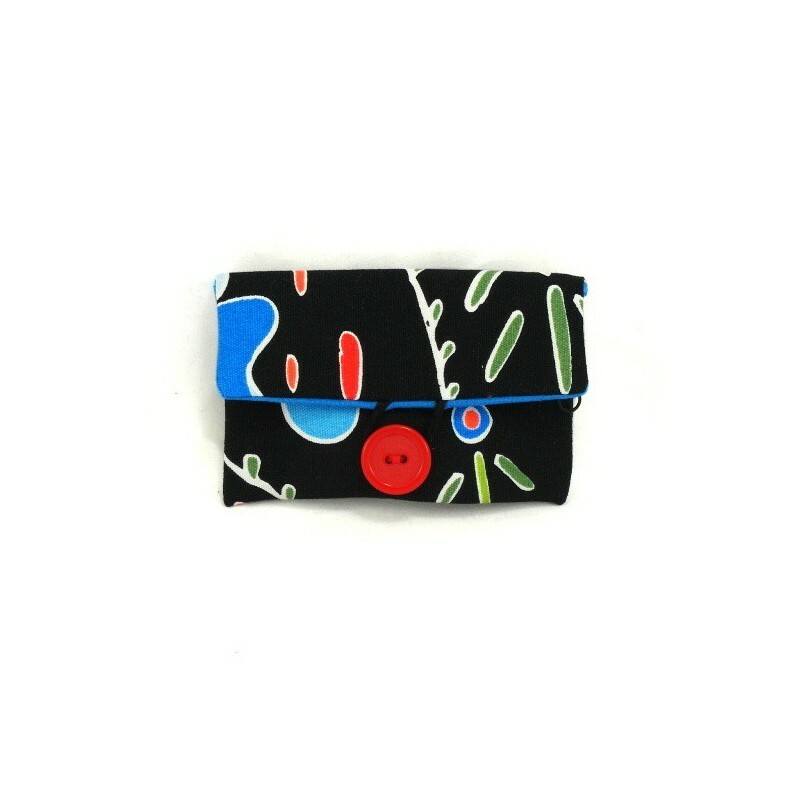 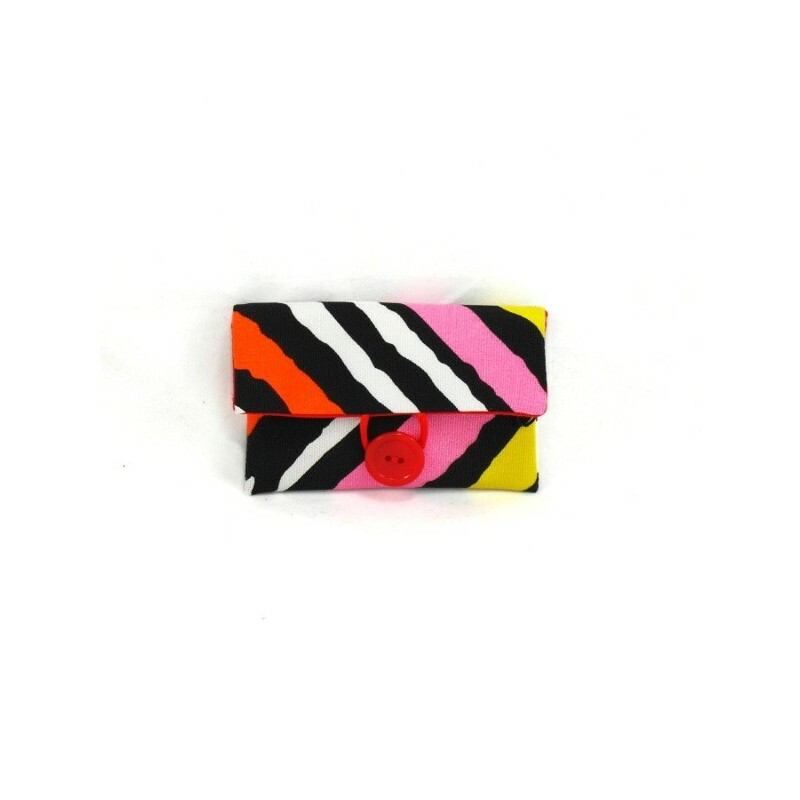 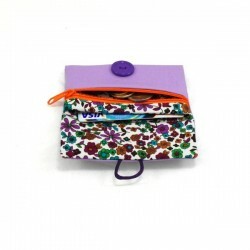 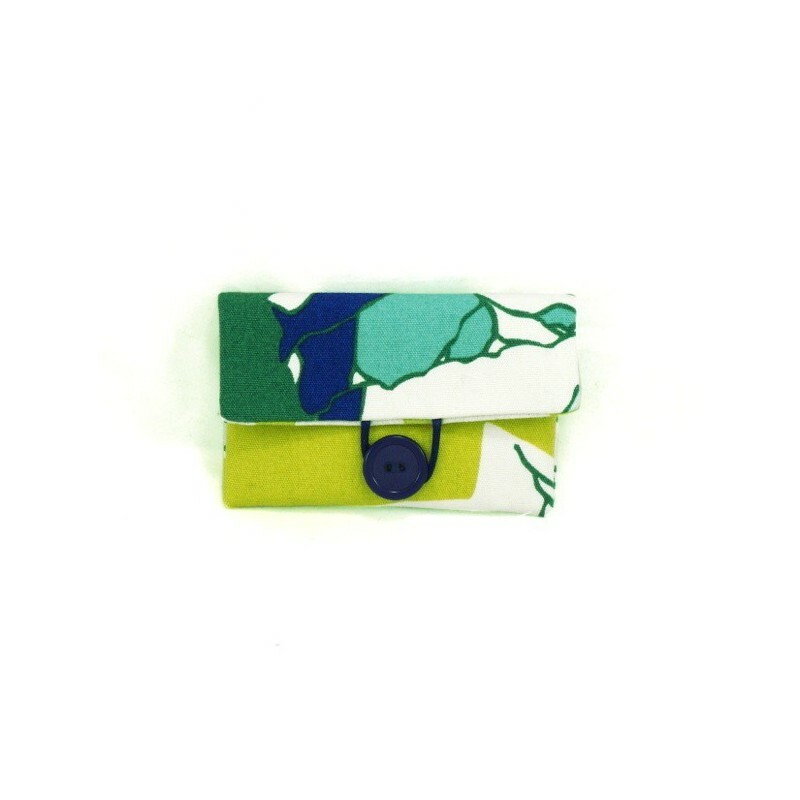 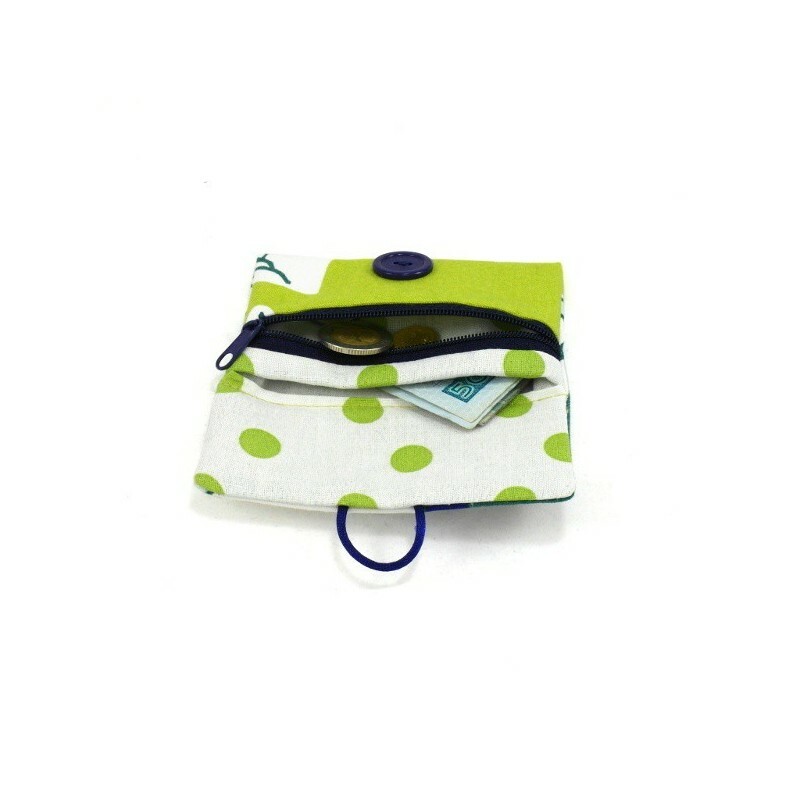 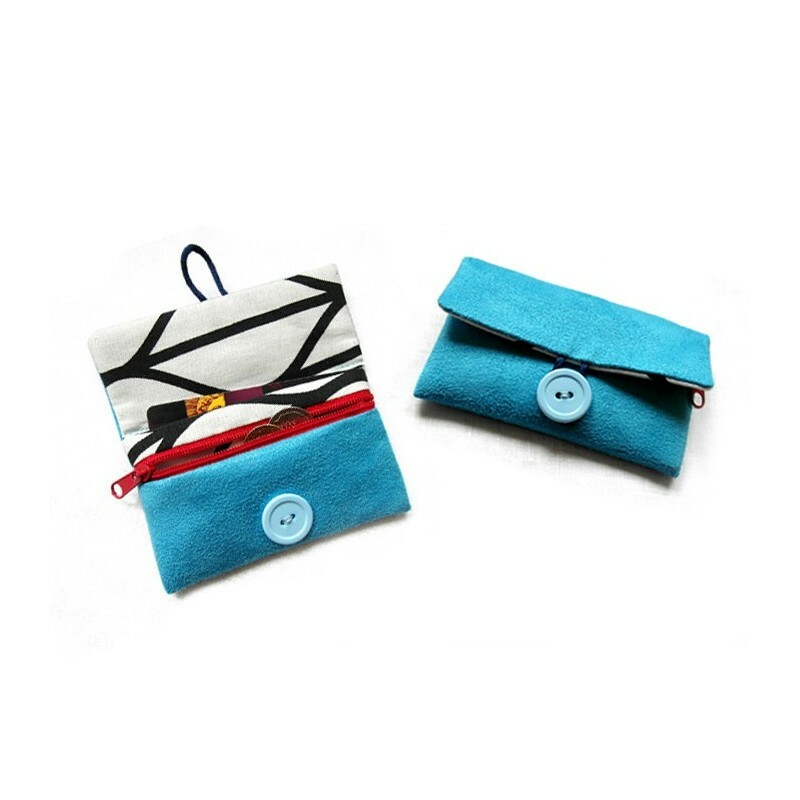 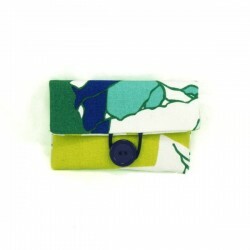 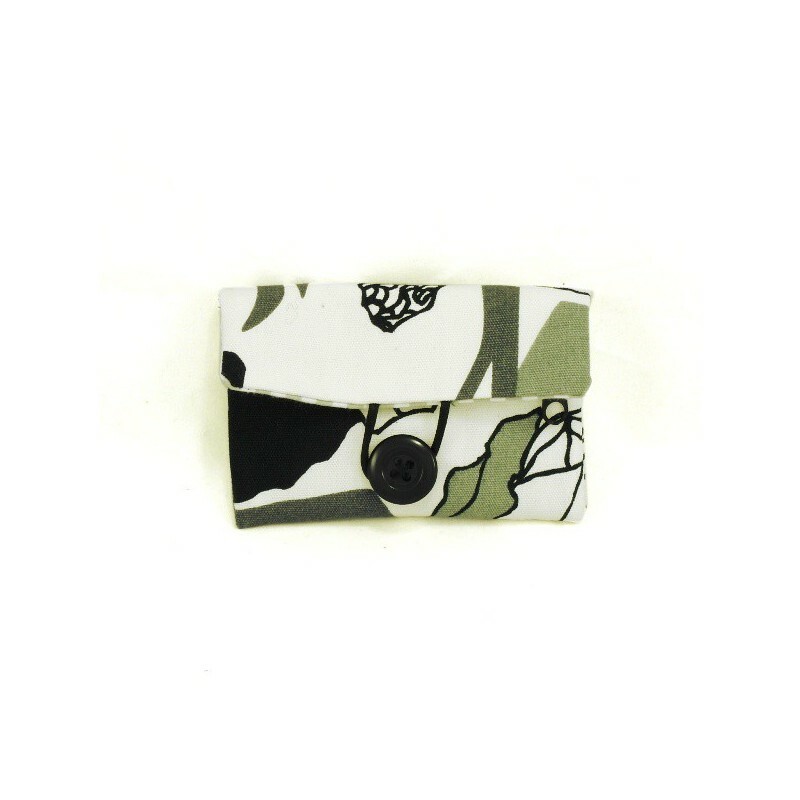 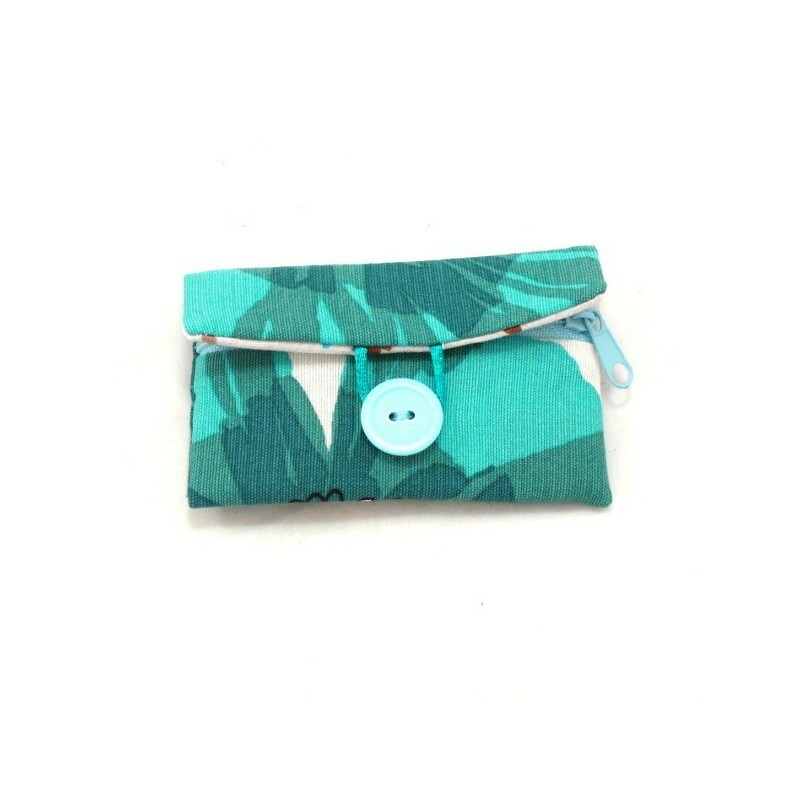 This cute, little wallet features one open pocket for bills or credit cards and one zippered pocket for storing your coins. 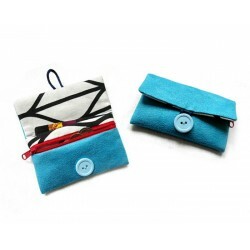 A button closure keeps contents secure. 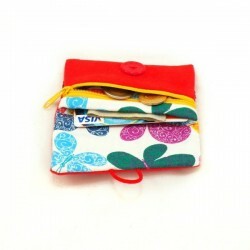 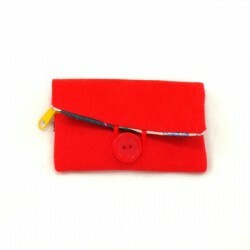 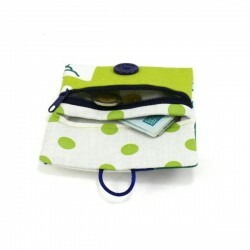 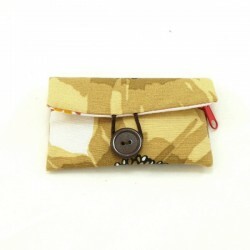 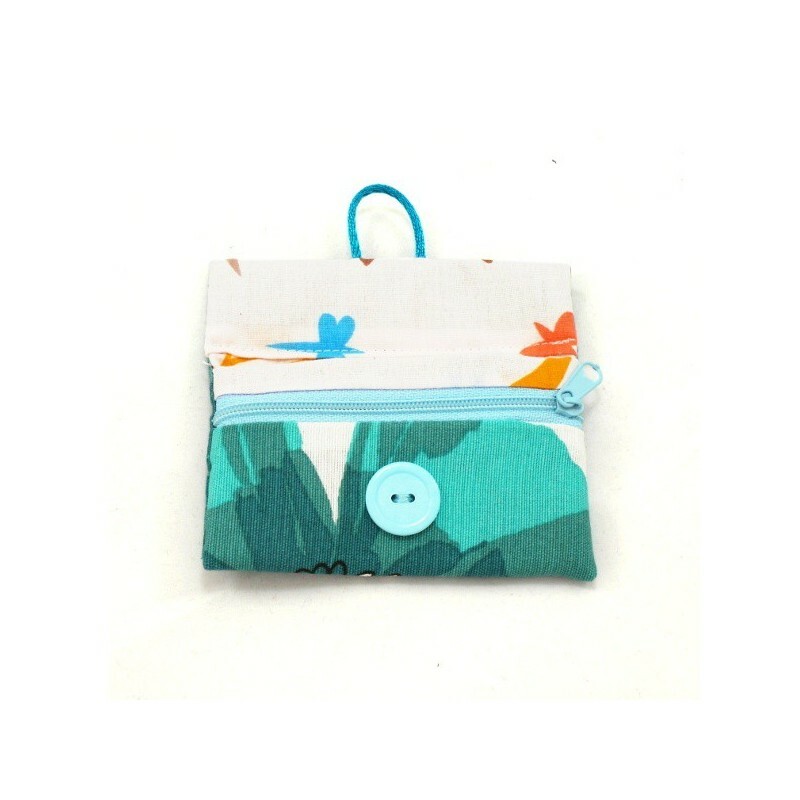 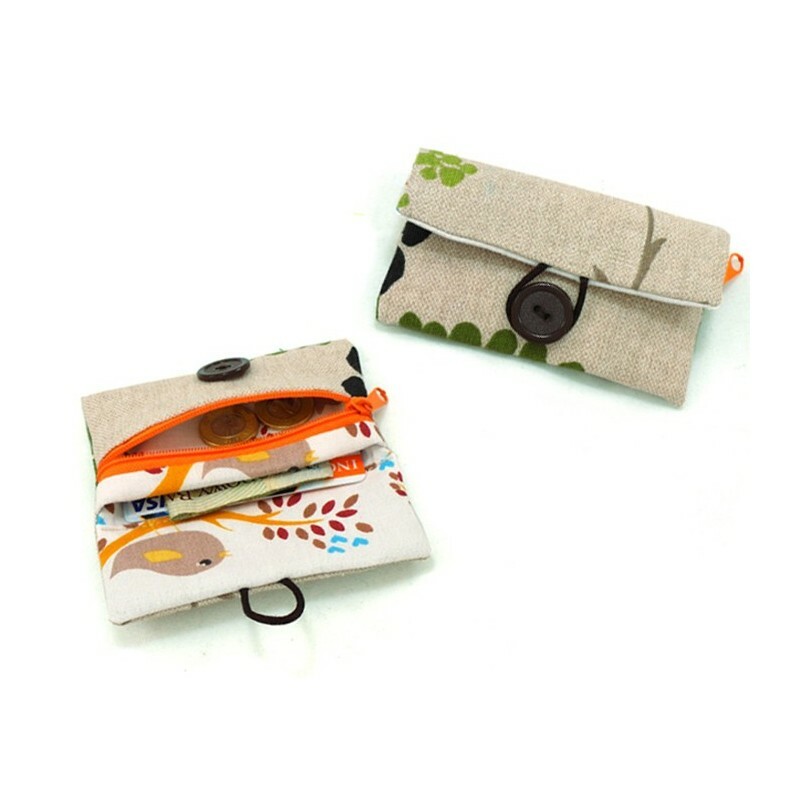 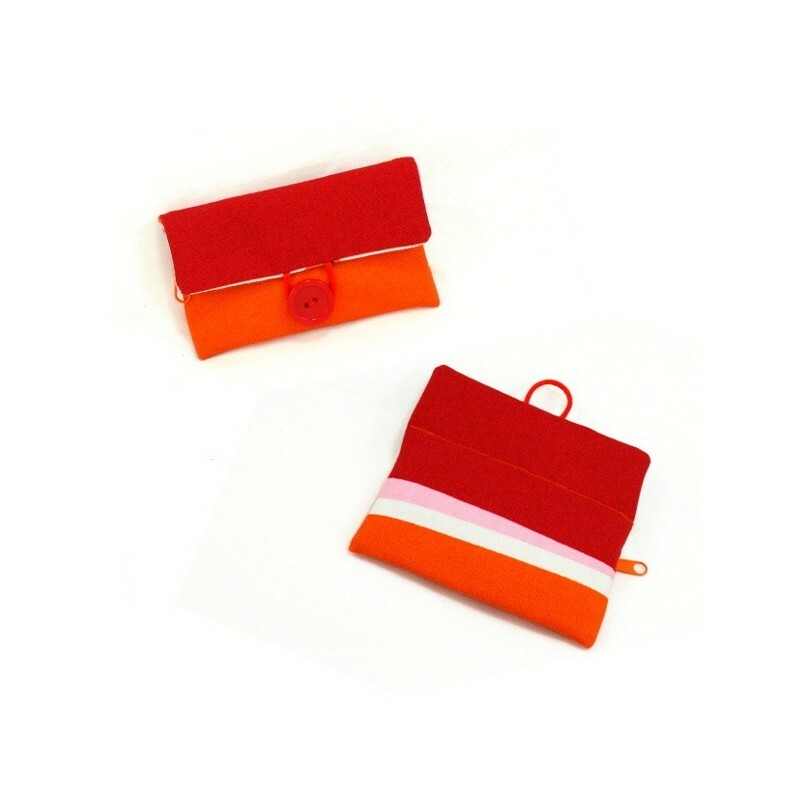 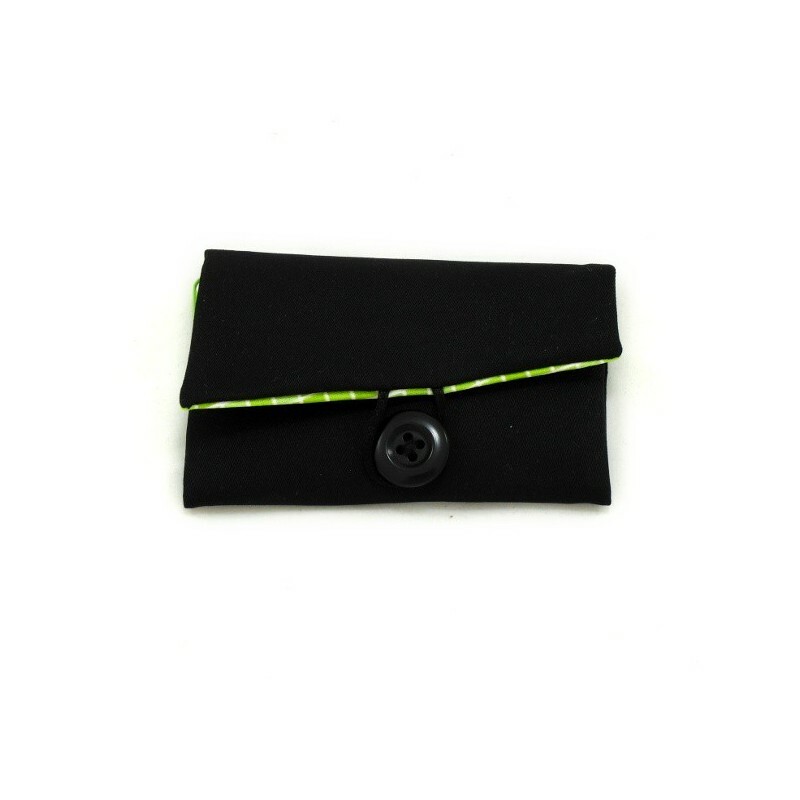 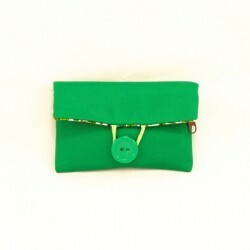 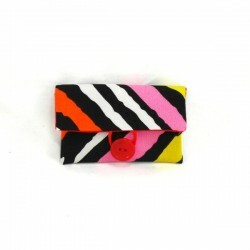 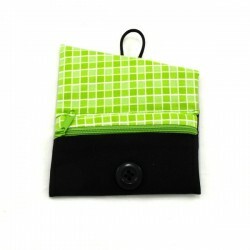 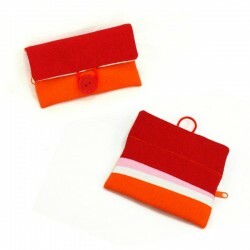 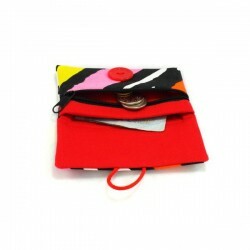 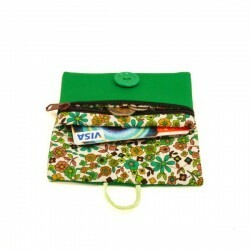 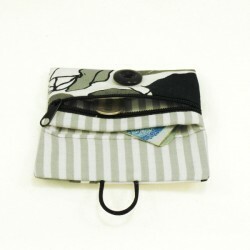 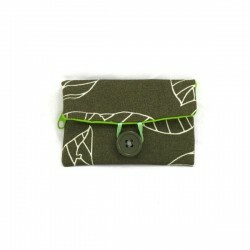 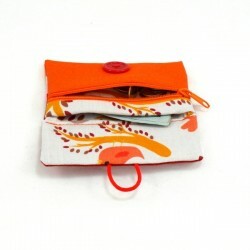 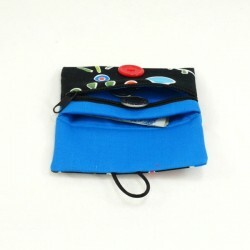 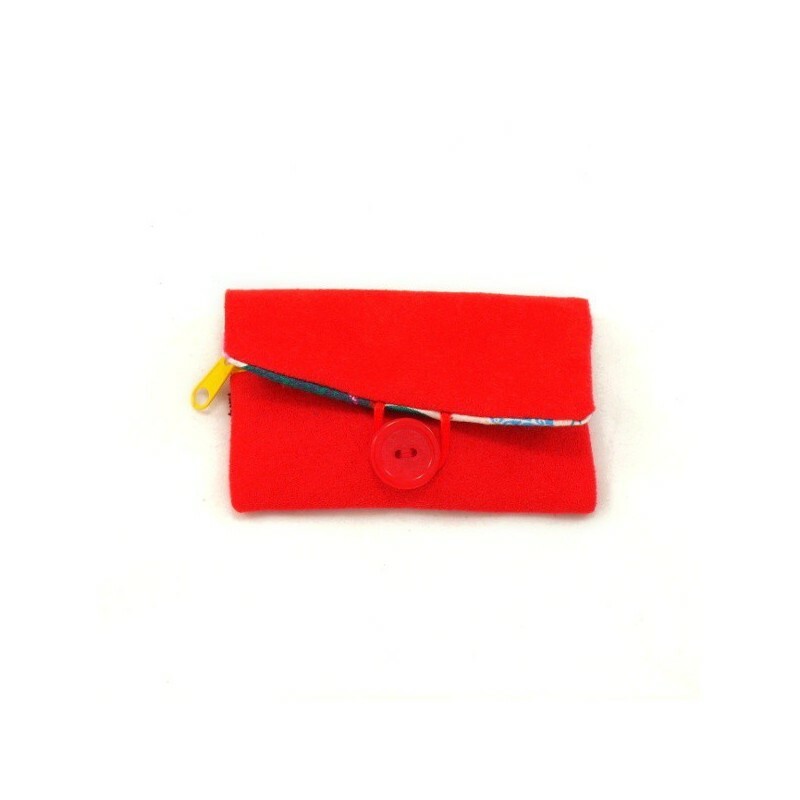 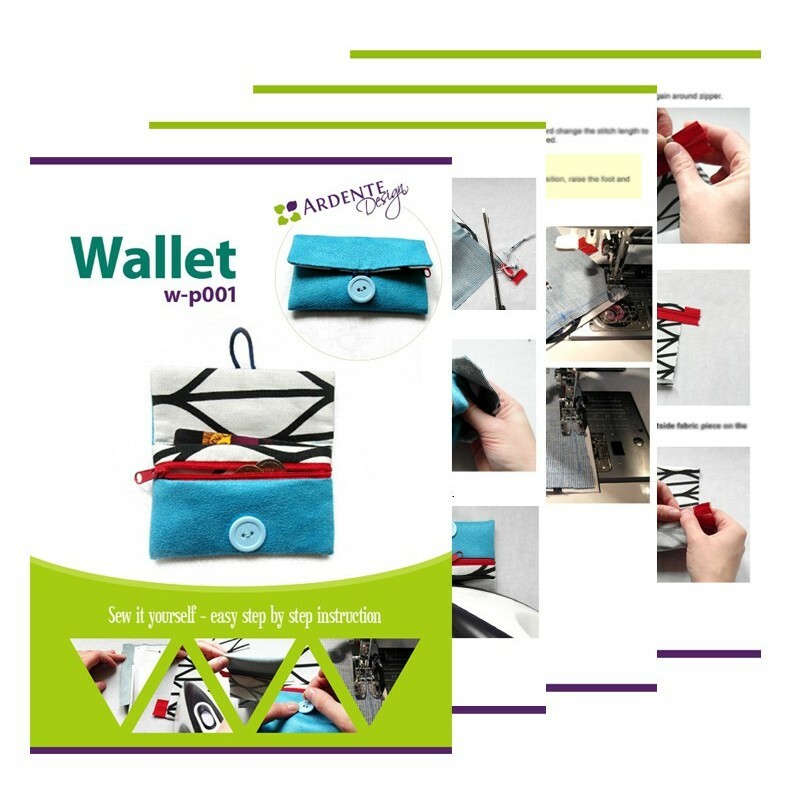 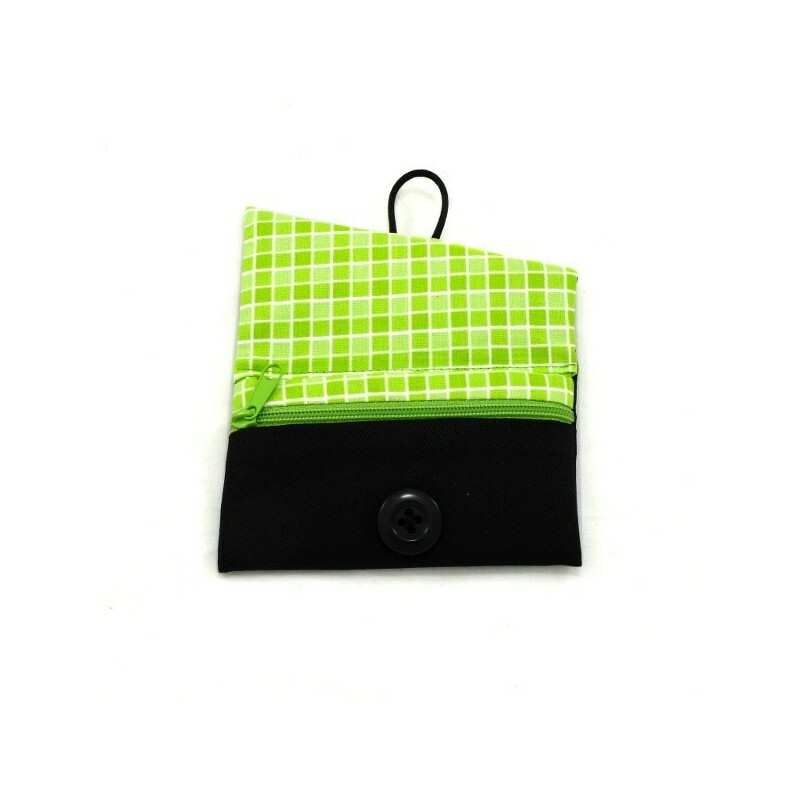 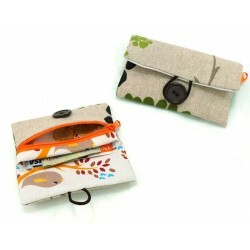 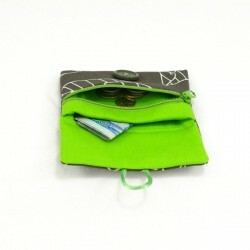 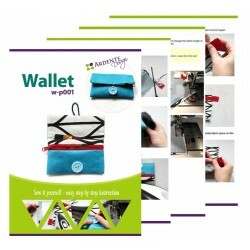 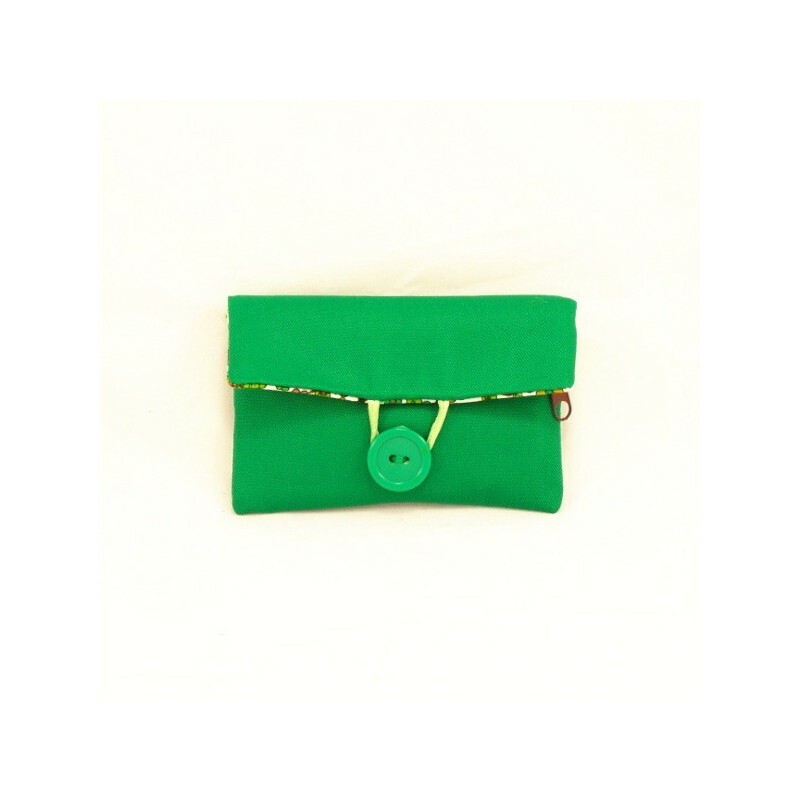 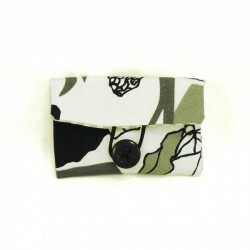 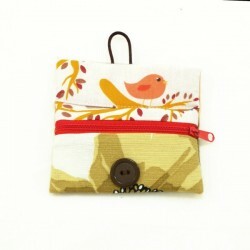 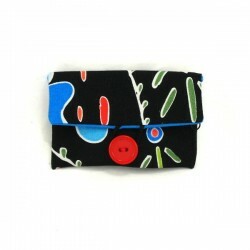 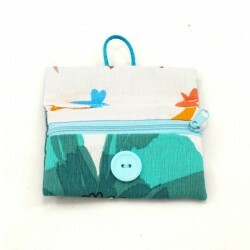 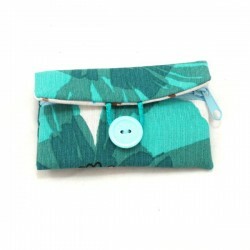 The wallet design is perfect for small bags, where traditional wallets do not fit. 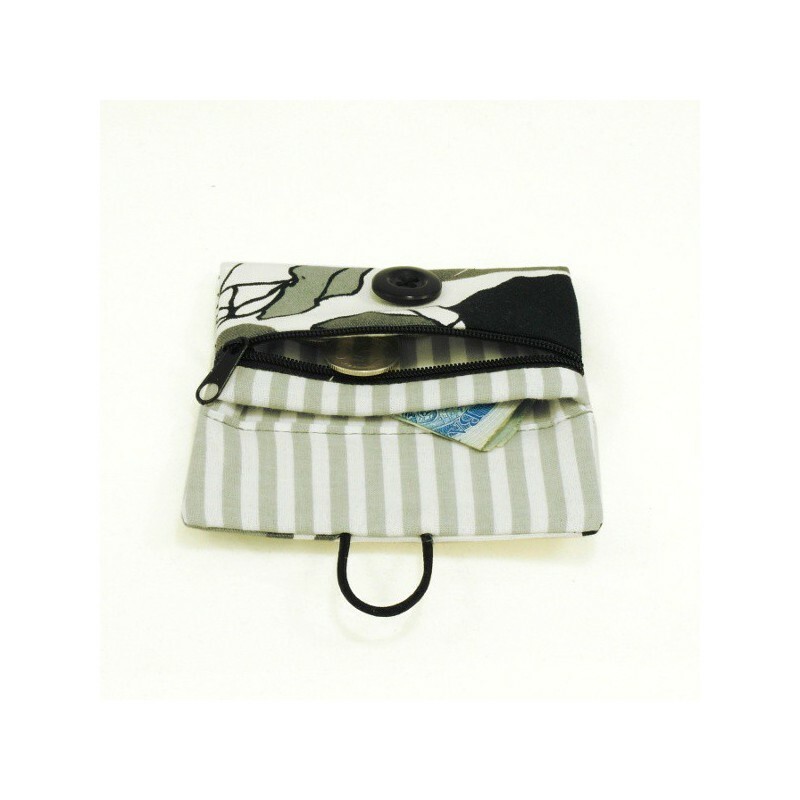 It will be also suitable for children. 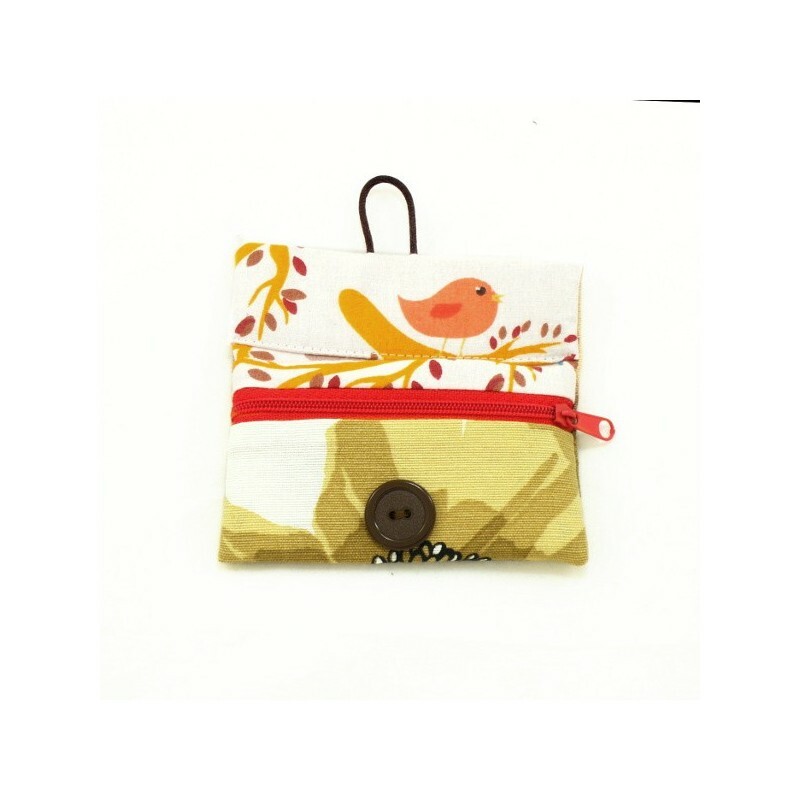 This is easy and fun project to upcycle leftover fabric scraps. 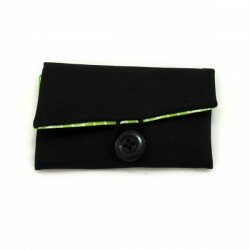 Presented sewing technique is fairly simple and at the same time it gives a very nice, aesthetic finish. 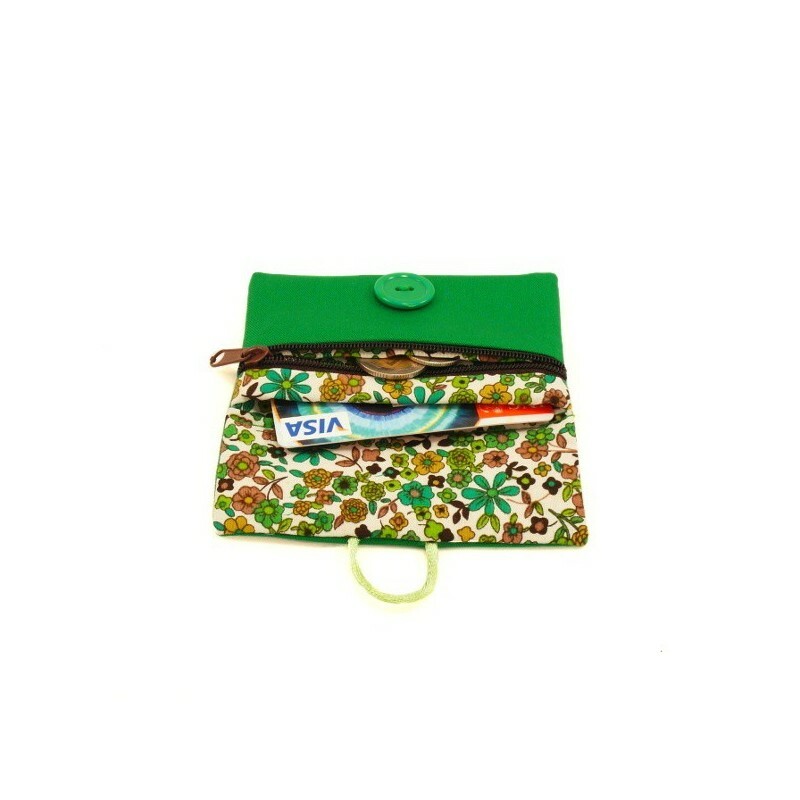 The wallet is fully lined.